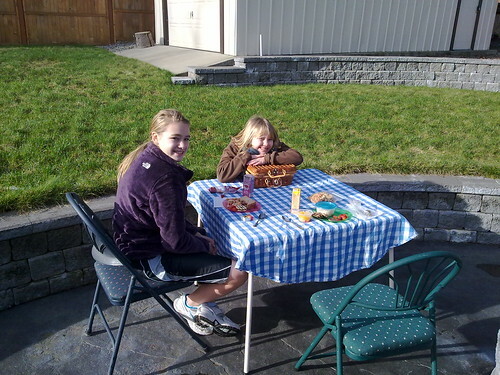 We had some beautiful weather so the girls setup a picnic table outside after playing basketball and cleaning up the garage. This entry was posted on January 18, 2010, 13:10 and is filed under 2010 Project265, Photos. You can follow any responses to this entry through RSS 2.0. You can leave a response, or trackback from your own site.